RESPECTABLY MINIMAL | A carbon fiber wallet built to simplify your life. SMART | Tested & guaranteed to block any RFID scans. Keep your dinero and away from those pesky crooks. SIMPLE, LIGHT & DURABLE | The Ravean wallet is ready for action; it does what you do, it goes where you go, and it's so minimal you'll likely forget it's there. 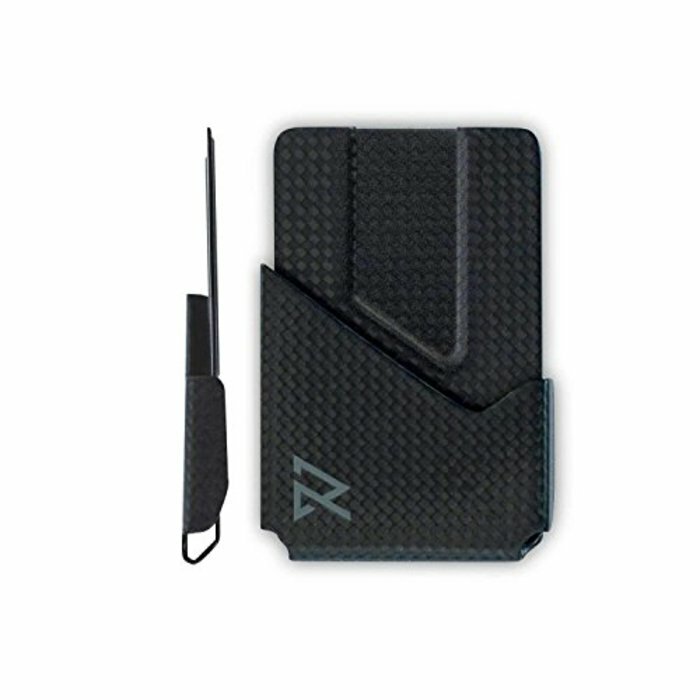 FLEXIBLE | The carbon fiber construction allows the wallet flexibility to hold one card or a whole stack. ACCESSORIZE YOUR ACCESSORIES | Get the optional money clip that slides silky smooth into the notch between your card and the back of the wallet.